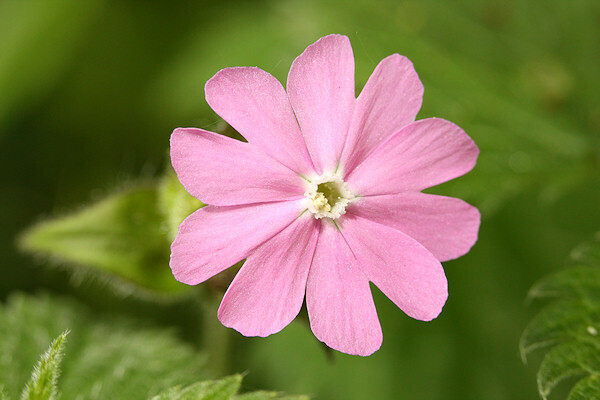 Red Campion has pink / red flowers, up to 2 cms diameter, which grow in pairs at the end of the stem. Each flower is made up of five forked petals. The leaves are oval and slightly hairy. 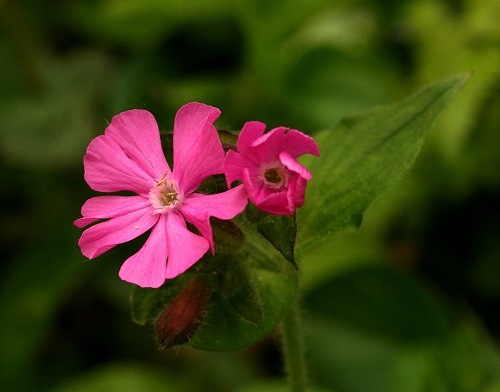 Red Campion is common in woodland and hedgerows.